I’ve made plenty if fun items with pretty awesome fabric, so I knew if I dug around my stash I’d find perfect matches, and I did! Now, after I realized my stash fabric was a crazy mess, I first spent about an hour organizing my fabric I was finally able to start! It took me about 2 hours from start to finish, I know I am slow, but I really took my time with all the little pieces. 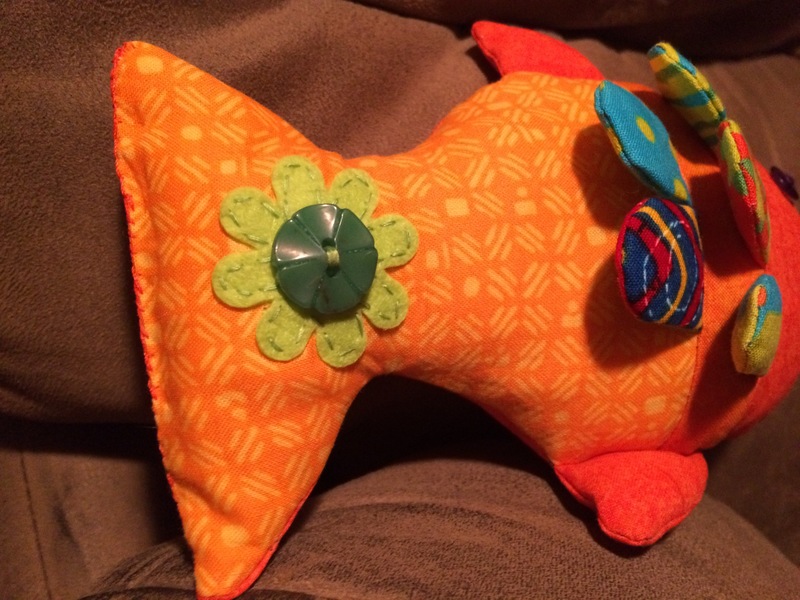 I didn’t have any blank felt, but I did have these pre-cut felt like flowers with button holes in the middle. Decided to put a matching button on top to hide the pre-cut large like holes, I thought it turned out cute! 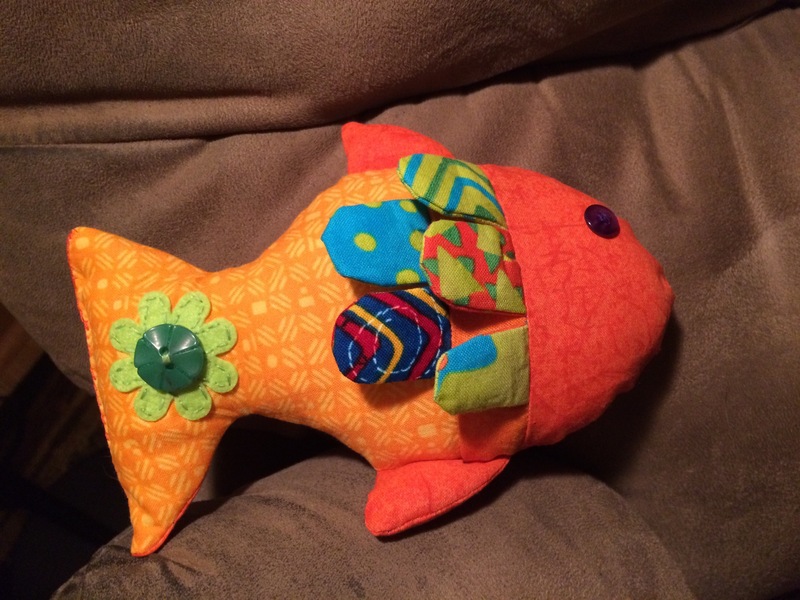 To make the fins I used leftover charm squares, I just love the bright colors! 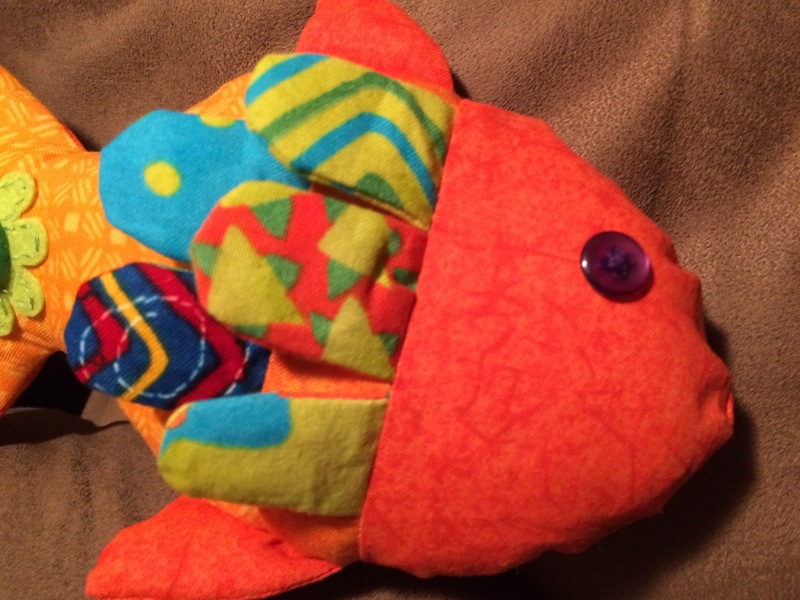 I also chose to stuff my fish with just poly fill and nothing else as indicated in the tutorial. Perhaps I’ll pair her fish with a fish book and a fish outfit? !